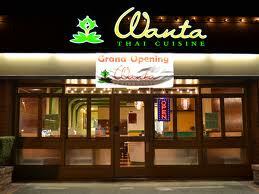 Wanta Thai Cuisine is a contemporary Thai eatery that transports you to friendly Thai culture. We serve healthy and quality Asian food for a reasonable price, along with generally good service at a convenient location. We also provide food delivery service right to your door. Visit us to proof why we are one of the best Thai restaurant in Redmond (Overlake area near Bellevue), WA. Wanta is a well known Pali word in Thailand meaning as showing respect. When Thai people meet, we greet and pay homage with gentle Wanta manner to each other (referred to as the Wai in Thai). Guests will appreciate the traditional Thai service and world-renowned hospitality. 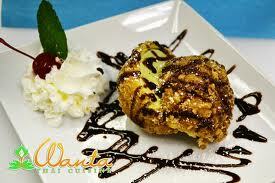 You will enjoy delicious Thai food along with humble service in a warm family-friendly atmosphere. We respect customer's time as we prioritize that your time is money. During the lunch time, we accommodate and welcome your rush hour. We serve quicklity food, not fast food. Whereas dinner time, we associate with fine relationship. We make the atmosphere comfy so customers can enjoy the excellent Thai food while watching movie on their tablet with our free WiFi as in their own living room. The team of Wanta Thai Cuisine is committed to offering customers a wonderful dining experience with a taste of warm Thai hospitality. Your journey will be amazed by varieties of quality & healthy food served in the restaurant. You will be unforgettably impressed as our tag line "A Taste Your Heart Glows".